The first water was let in during the morning from the railway bridge culvert. In the evening Dr. Girdlestone J.P. and Mr. Abel Jones, vice chairman of the Council, turned the three valves at the Foryd Bridge culvert. 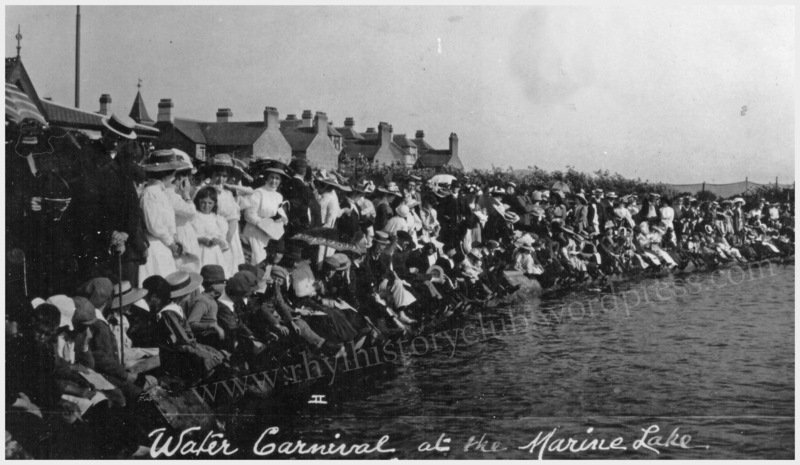 On July 6th a regatta, aquatic fete and gala were was held and was described in the press as one of the most successful days in the Rhyl’s history. The salt water lake, which covers 40 acres and is 4′ deep, was constructed on land which used to flood at high tide and at ebb was left a muddy bog . The land was bought from the Commissioners of Woods and Forests for the sum of £1,050. From the design of Mr Baldwin Latham the lake, island and surrounding ornamental grounds cost a further £10,200. Contractor George Law of Kidderminster completed the work within six months, the memorial stone having been laid on December 14th, 1894. Today the lake is used for sailing, canoeing, waterskiing, wakeboarding, kneeboarding, and barefooting! 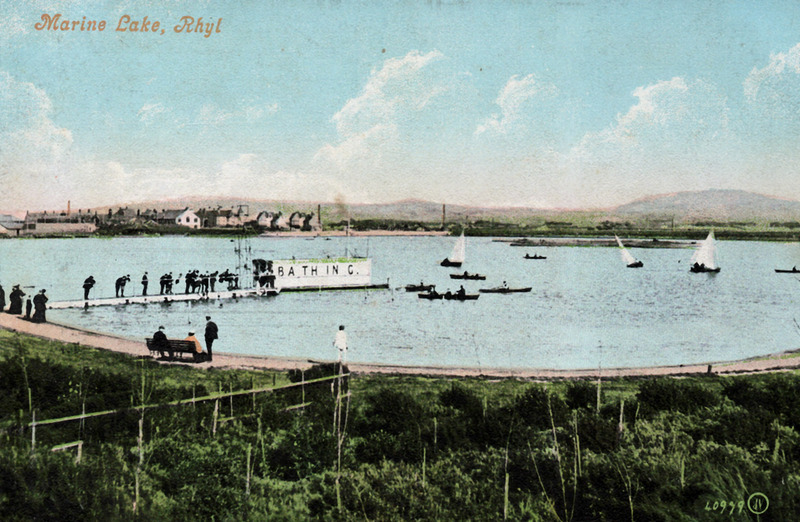 The following clubs operate from the lake: Cadence Tri (Triathalon team), Ocean Beach Water Ski Club, Rhyl Miniature Railway, Rhyl Sea Cadets, Rhyl Yacht club and Vale of Clwyd Scouts.